Home / Our Team / James R. Abney, Ph.D.
James Abney, Ph.D., is an intellectual property attorney with a strong interdisciplinary background in biology, chemistry, mathematics, and physics. 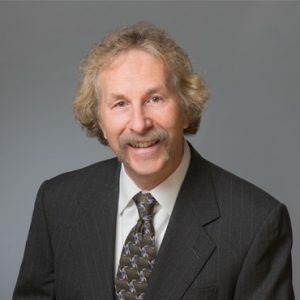 He has extensive experience in all aspects of intellectual property law, including patent and trademark prosecution, due diligence, opinion work, licensing, enforcement, and portfolio management. He has worked with individual inventors, small businesses, and Fortune 500 companies. He is particularly proud of his work with startups, from founding through IPOs and acquisition. James also is a skilled researcher who can connect with inventors as a peer, especially in the fields of biotechnology, optics, and medical devices. He was the featured Biophysicist in Profile in the September 2012 Biophysical Society newsletter. James has a deep and continuing involvement in scientific research and education. After earning a Ph.D. in biophysics, he worked at the Lawrence Berkeley National Laboratory (LBL), where he was supported by an Alexander Hollaender Distinguished Postdoctoral Fellowship, and at the University of California at San Francisco (UCSF) medical school. He also has taught several college courses, mostly since moving to Portland, including calculus and general physics. James’s research has focused on molecular organization and dynamics in biological systems, using a combination of theory, computer simulation, and experiment. Two more recent projects include studying chromatin dynamics in interphase nuclei of Swiss 3T3 and HeLa cells using fluorescence photobleaching techniques, and studying secretory granule dynamics in PC12 cells using optical microscopy, a tissue plasminogen activator/green fluorescent protein hybrid, and diffusion theory. James has been a frequent collaborator with his wife, Bethe Scalettar. Their most recent project, on teaching optical microscopy, was published in August 2015 in the American Journal of Physics. James enjoys hiking, running, watching classic movies, and caring for wayward animals. How a gap junction maintains its structure. J. Braun, J.R. Abney & J.C. Owicki (1984) Nature. 310:316–318. Lateral interactions among membrane proteins: valid estimates based on freeze-fracture electron microscopy. J. Braun, J.R. Abney & J.C. Owicki (1987) Biophys. J. 52:427–439. Lateral interactions among membrane proteins: implications for the organization of gap junctions. J.R. Abney, J. Braun & J.C. Owicki (1987) Biophys. J. 52:441–454. Theoretical comparison of the self diffusion and mutual diffusion of interacting membrane proteins. B.A. Scalettar, J.R. Abney & J.C. Owicki (1988) Proc. Natl. Acad. Sci. USA. 85:6726–6730. Self diffusion of interacting membrane proteins. J.R. Abney, B.A. Scalettar & J.C. Owicki (1989) Biophys. J. 55:817-833. Mutual diffusion of interacting membrane proteins. J.R. Abney, B.A. Scalettar & J.C. Owicki (1989) Biophys. J. 56:315–326. An ‘exact’ integral equation approach to the inverse problem in two-dimensional fluids. J.R. Abney & J.C. Owicki (1989) Chem. Phys. Lett. 164:73–76. On the measurement of particle number and mobility in nonideal solutions by fluorescence correlation spectroscopy. J.R. Abney, B.A. Scalettar & C.R. Hackenbrock (1990) Biophys. J. 58:261–265. Dynamics, structure, and function are coupled in the mitochondrial matrix. B.A. Scalettar, J.R. Abney & C.R. Hackenbrock (1991) Proc. Natl. Acad. Sci. USA. 88:8057–8061. Evanescent interference patterns for fluorescence microscopy. J.R. Abney, B.A. Scalettar & N.L. Thompson (1992) Biophys. J. 61:542–552. Determinants of the translational mobility of a small solute in cell cytoplasm. H.P. Kao, J.R. Abney & A.S. Verkman (1993) J. Cell Biol. 120:175–184. Calculation of resonance energy transfer in crowded biological membranes. D.B. Zimet, B.J.-M. Thevenin, A.S. Verkman, S.B. Shohet & J.R. Abney (1995) Biophys. J. 68:1592–1603. Chromatin dynamics in interphase nuclei and its implications for nuclear structure. J.R. Abney, B. Cutler, M.L. Fillbach, D. Axelrod & B.A. Scalettar (1997) J. Cell Biol. 137:1459–1468. Real-time imaging of the dynamics of secretory granules in growth cones. J.R. Abney, C.D. Meliza, B. Cutler, M. Kingma, J.E. Lochner & B.A. Scalettar (1999) Biophys. J. 77:2887–2895. Saving your student’s skin: undergraduate experiments that probe UV protection by sunscreens and sunglasses. J.R. Abney & B.A. Scalettar (1998) J. Chem. Ed. 75:757–760. Biomedical imaging in the undergraduate physics curriculum: module on optical microscopy. B.A. Scalettar & J.R. Abney (2015) Am. J. Phys. 83:711–718. Molecular crowding and protein diffusion in biological membranes. B.A. Scalettar & J.R. Abney (1991) Comments Mol. Cell. Biophys. 7:79–107.